The World’s most comprehensive courses to help you ace the GMAT. All our courses offer a 7-day money back guarantee. Learn everything from dangling modifiers in SC to prethinking in CR to effective reading strategies in RC through amazingly effective byte-sized lessons. Get 15 Hours of SC, 15 hours of CR, and 6 hours of RC live sessions – the most comprehensive Verbal offering. Get 6 live sessions in Number Properties, Word Problems, Algebra, Geometry, P&C and Probability. Get instant access to the recordings of all Verbal live sessions as soon as you complete the purchase. You can always use the recordings in case you miss a session. Get instant access to the recordings of all Quant live sessions as soon as you complete the purchase. You can always use the recordings in case you miss a session. Whether your GMAT date is 30 days away or 120 days, you can easily customize our standard plans to fit your needs. Irrespective of your current preparation level, GMAT Planner will help you build a personalized study plan to achieve your target score. Purpose-built strategy sessions (2X every month) to ensure that you execute on your study plans and get the most out of your study sessions. If your previous highest score is a V30, we guarantee a V34. We guarantee a V41 (94 percentile) even when your prior highest score is a V37. The world’s only guarantee that ensures a Q50, if you have a Q48 in your prior attempt. Get 1,785 questions with over 50% of them at a 700 or higher level. These tests – that sell for $99 otherwise – are free with your purchase. Get 5 full-length mocks, including Quant, Verbal, AWA, and IR sections. These tests sell for $39 otherwise. Get personalized feedback from a top-rated instructor on your current Verbal performance and on how to improve your Verbal score. Get personalized feedback from a top-rated instructor on your current Quant performance and on how to improve your Quant score. Every question comes with detailed prethinking analysis. When you read the solutions, you will feel as if you listened to an expert. GMAT Club’s top-rated question bank will test you on every aspect of GMAT SC. Moreover, get detailed meaning analysis and error analysis in every solution. Get intuitive and valuable reports that will help you identify your weaknesses, find patterns in your mistakes, and make the most of your preparation time. 600+ PS questions that will test you on every aspect of the GMAT. More than 500 DS questions that give you a representative experience of the aspects tested in GMAT DS questions. Get intuitive and valuable reports that will help you identify your weaknesses, find patterns in your mistakes, and help you make the most of your preparation time. Have a doubt? Post it within our internal forums and get a comprehensive response from the course creators. Interact with experts in real time. Get your doubts clarified at the end or at the beginning of the sessions. 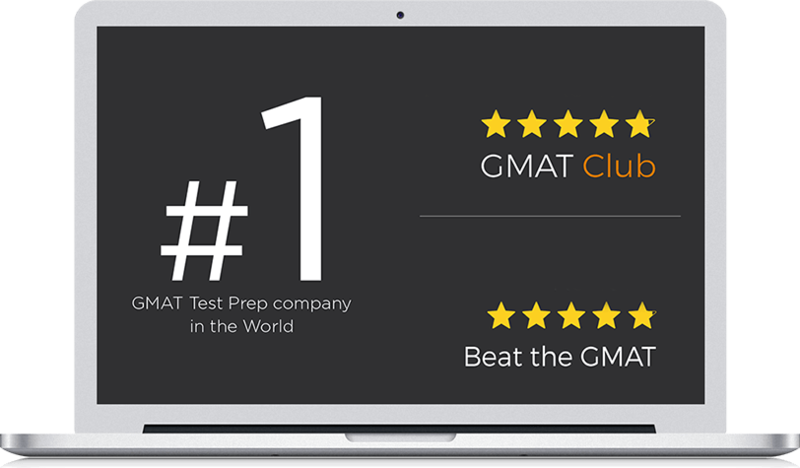 GMAT Club and Beat the GMAT!! We want you to love our courses. Try any of our courses for a week. If you don’t think it is the right course for you, we will be happy to issue a full refund. No Questions Asked!! I have bought the course. What is the duration of my course subscription validity? You have access to the purchased course for 6 months from the date of purchase. Furthermore, if you feel that you need a course extension after the 6 months, we provide the option of extending the course for up to 50% discounted prices. NOTE: You need to provide us the proof of your GMAT scheduled date for an extension. I have bought a course. Can I upgrade my course now? Yes, you can always upgrade to a related bigger package by paying the difference in prices. For instance, you can upgrade from GMAT Online to GMAT Live Prep by simply paying the difference in prices. Will I get my money back, if I don’t like the course? It is extremely rare that students do not like our courses. However, to address such rare cases, we have a 7-day return policy in place. We shall refund your complete course fee, if you inform us within 7 days of your purchase date and if you have accessed the course for less than 7 hours (this duration is sufficient to watch 16 concept files). What are the different methods of payment? Do you provide any books or hard copy of the study materials? We do not provide any books or hard copy of the study materials for any of our courses. All the content that we provide is on an interactive online platform. All you need is a computer and a decent internet connection. Think of it as a course that is 5X more effective and comprehensive than the best book out there and that allows you to get your doubts addressed by the course creators themselves. Can I view the recording, if I miss a live session? Also, can I view the content multiple times? Live Prep course students not only get access to live sessions but also get access to the multiple recordings of these live sessions throughout their course validity duration. This means you can view the recordings multiple times throughout your course validity (6 months) at your convenience to cement your understanding. If you miss a session, you can always catch up with your batch by viewing the recordings of the sessions that you missed. Also, within your course validity duration, you can join up to 4 batches of live sessions! So, you can plan your prep at your convenience.